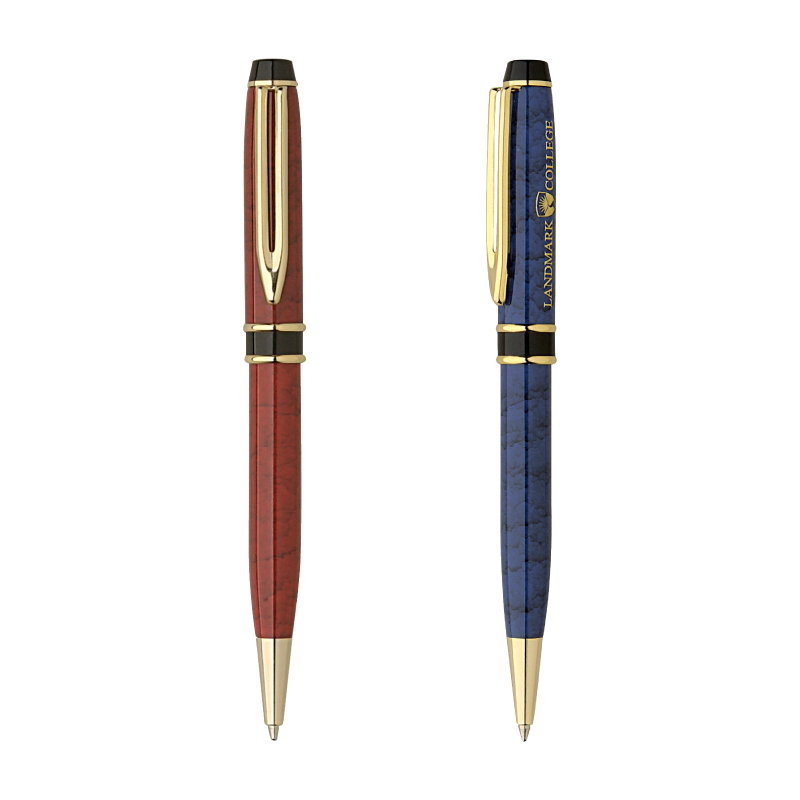 Product Details: Lacquer coated marble brass ballpoint pen with gold trim. Twist mechanism. Standard black ink. Price includes 1 color only imprint or laser engraving. Approx. Imprint Size: 1/4" x 1 1/4"